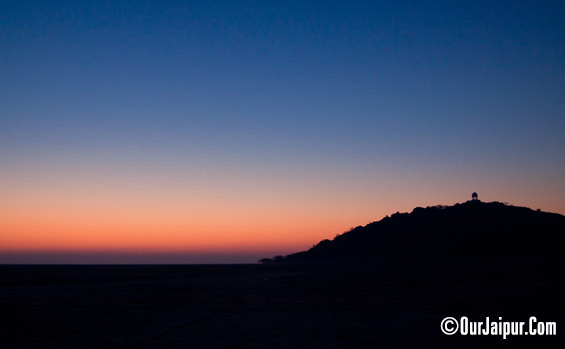 Sambhar Lake in Rajasthan, India’s largest saline water body, would soon be developed as a new tourist destination. Recently, Hindustan Salt Limited (HSL), a public sector company, has signed a MoU with the Indian Tourist Development Corporation (ITDC) to develop this lake as tourist hotspot to create a new golden triangle — Jaipur-Sambhar-Ajmer. I had been to Sambhar Lake many Times so in this post you will Find many pics Covering all the seasons and Time. I will Recommend This place anytime any Season, you will get to see Different Colours Every Time you go there. Highly Recommended Place. 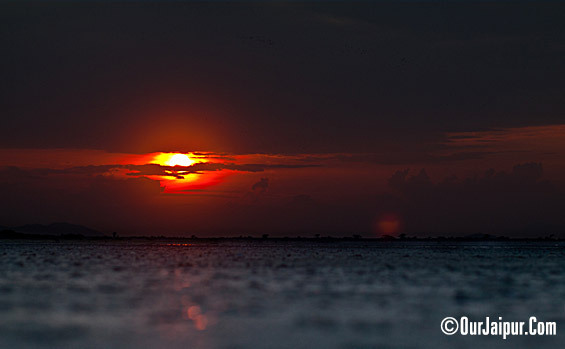 Sambhar Lake is Situated approx 90Km. 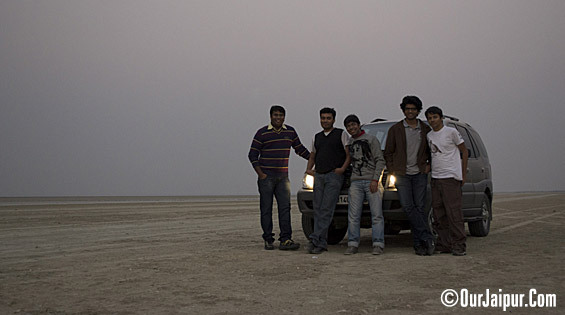 from Jaipur and approx 70 Km. from Ajmer. If you are travelling from Jaipur then On Jaipur-Ajmer Highway approx 55 km. 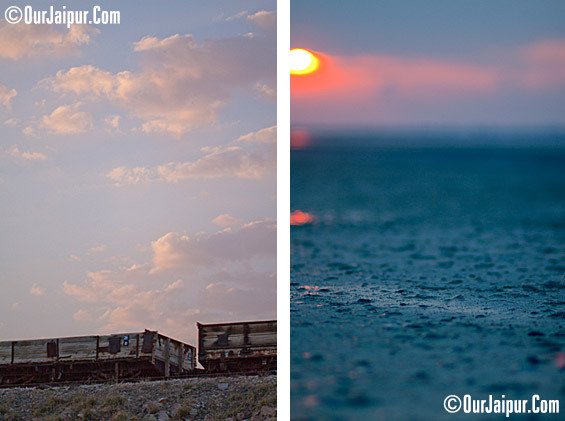 from Jaipur you will come to a small town Dudu from there you have to take Right and Sambhar Lake is more 35 Km. from There. 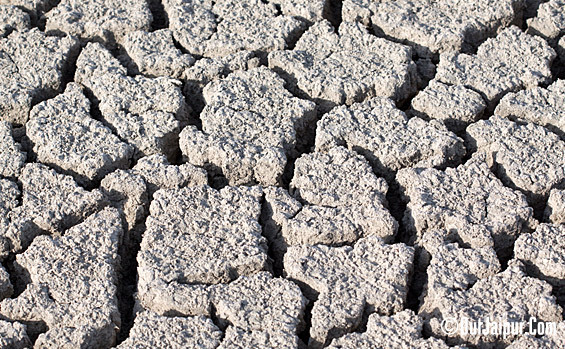 Sambhar Lake Dry Salty Lake bed. 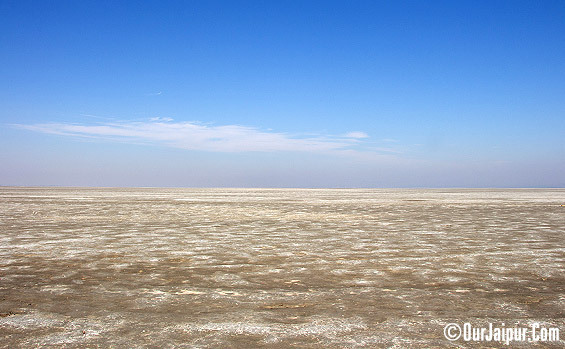 Sambahr lake is the Largest Saline Water Lake in India and this saline wetland is elliptical in shape, has a length of 35.5KM and Breadth varying between 3 KM and 11KM. 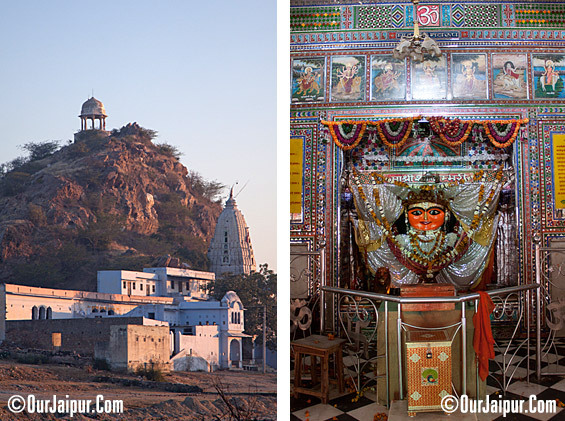 It is located and extends in three districts of Jaipur, Nagaur and Ajmer. 96 KM of Lake circumference is surrounded by the Arravali Hills. 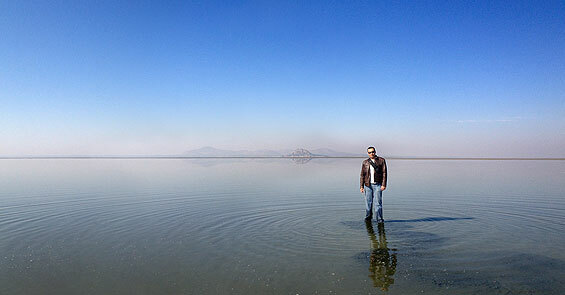 The water depth of this lake varied from 60 cm during the dry season to 3metres after the monsoons. an area of about 190 square km in dry season and extended to about 230 square km during monsoon, is also a home of thousands of flamingos and more than 71 species of other migratory birds, which land here during the winter season from around the world. 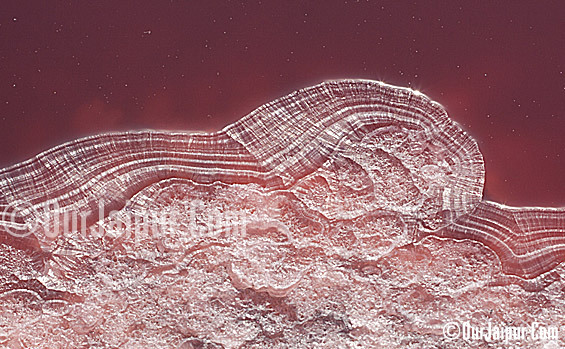 Being an important waterfowl habitat and a known site for brine shrimp Artemia salina. Sambhar lake was sweet water lake 2000 years back according to the pollen studies made by Birbal Sahani Institute of Palaeobotany, Lucknow. 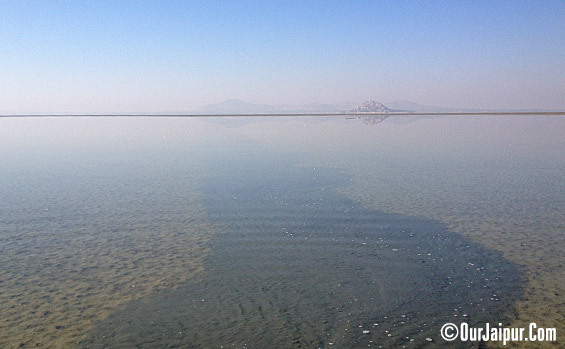 Conversion of Sambhar lake from freshwater to salt Lake was parallel with the formation of Iranian deserts Dast-e-Kavir and Dast-e-Lut both having their extensive saline stretches. The Mahabharata epic mentions this place as part of the kingdom of the demon king Brishparva, as the place where his priest Sukracharya lived, and as the place where the marriage between his daughter, Devayani, and King Yayati took place. We can thus calculate the ancientness of the place from the incident. It takes us back by about 5,000 B.C. The place is thus ancient as civilization itself. 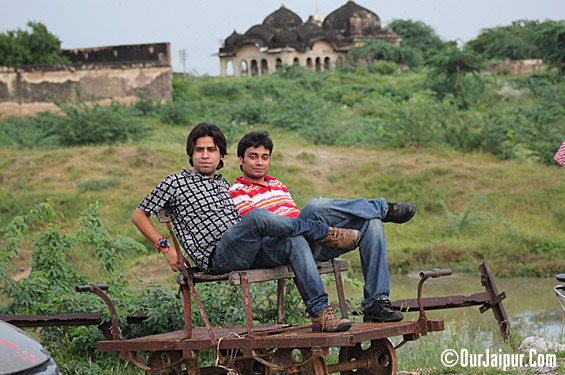 Many Bollywood movies are also shot here and one of well known movie is – ‘Jodha Akbar’. Sambar Lake is divided into two parts by a 5.16km. “Gudha Jhapog Dam” it is just around 20 ft. tall Dam. The eastern side is of 76.8 sq. km. 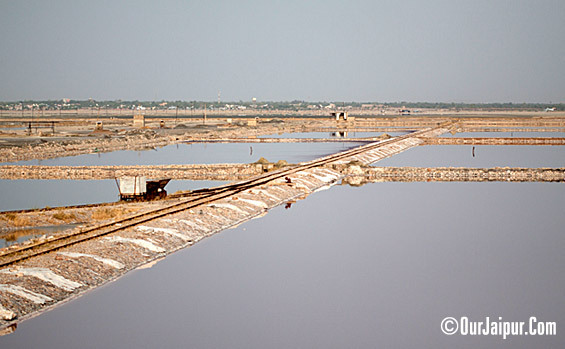 for Salt Production this area has many salt pans (kyari) for the manufacture of salt through natural evaporation method. The western part of lake is open water undisturbed natural lake ecosystem. The Sambhar Lake is also a site of Commercial importance on account of its Salt Producing capacity. 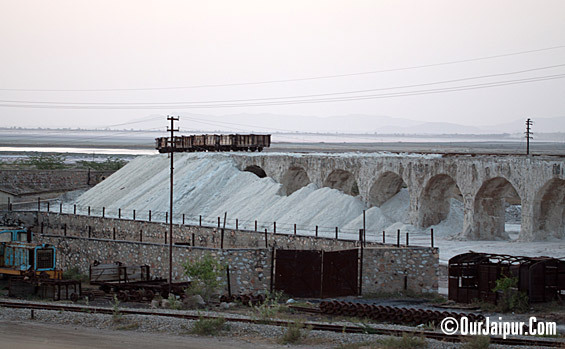 It is stated that from saline water of Sambhar Lake, Approximately 21,00,000 Tones of Salt is produced each year making the State of Rajasthan one of the three Salt Producing States of India. The Brine of this lake is unique as it has a low potassium content. 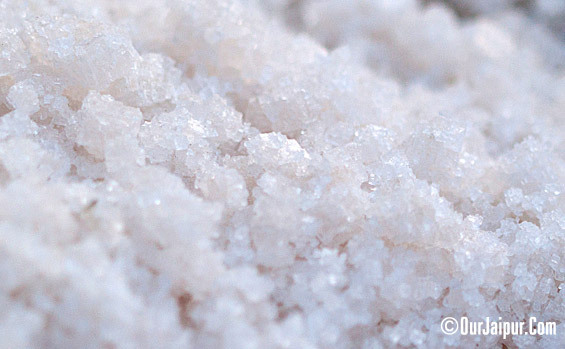 Traditionally Salt has been produced in the lake for more than 1500 years and the control of Salt Production passed from the Local Communities to the Rajputs, the Mughals, The British and finally to Government of India. In the time of Emperor Akbar, income from the lake was about Rs. 2.5 lakhs per month. It had gradually reached to Rs. 15 lakhs, when Emperor Aurangzeb ascended to the throne. Crystallized Salt Transported to Processing Plants in Railway Bogies. The Cenotaph (Chhatri) on top of the hill and Shakambhari Mata Temple at bottom, Idol of Shakambhari Mata in right hand side image. 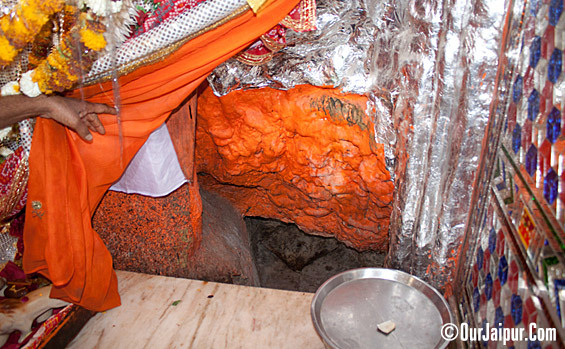 Shakambhari mata is Kuldevi (family Goddess) of Chauhan dynasty. It is said and believed Prithviraj Chauhan – The King had a blessing from the Goddess – as far as he roams his horse the entire land will turn into silver. 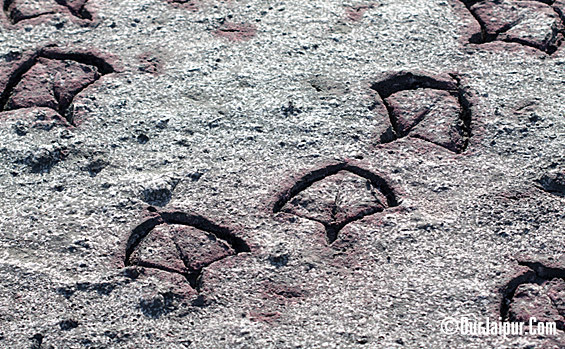 Prithviraj roam his horse till 12 Kos i.e., 36 km and all land turn into silver. But knowing about land turning into silver his mother and Villagers said if all land will be silver than what people will grow into fields to eat and this much wealth will attract lot of attention and will generate lot of problem Thus, Prithviraj worship Goddess Shakambhari to retract the wish but as it was not possible Goddess Shakambari turn all silver into salt which will be useful for the people and cannot be steal. 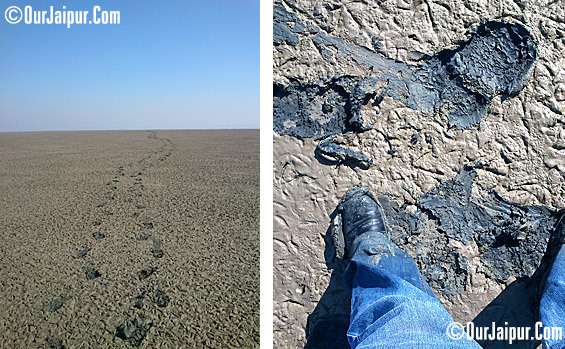 Since then rain water the moment touch the land within this 36 km area turn into salt naturally. 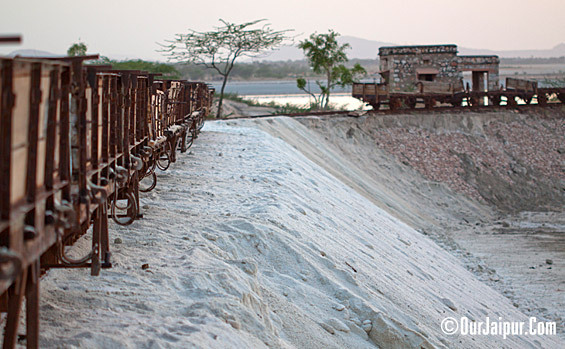 Villages around Sambhar lake are into salt trade. 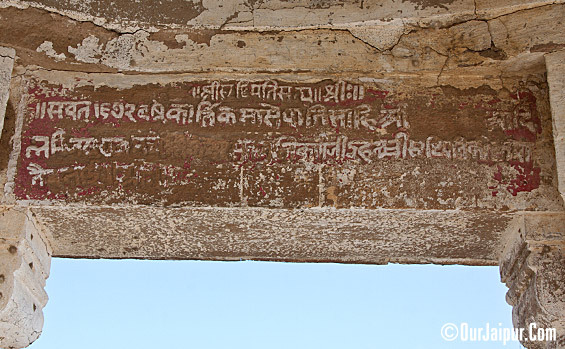 The temple is about 1400 years old built by grandfather of Prithviraj Chauhan. This temple of Shakambari Mata is one of the Shakti peeths. One of the Legend is that when Emperor Aurangzeb came at this place and ordered to break the Idol of Goddess at that time Thousands of Venomous Bees came from Nowhere and Wounded his Army badly after that in fear Aurangzeb Pleaded in front of Shakambari Mata and Canceled the Orders. A hidden tunnel ( which is Closed now) near the Idol of Shakambari Mata, It is said that this is a 35km. long Secret tunnel which reaches to Jobner a nearby city. Carvings At Cenotaph (Chhatri) I think about when was it built. The Cenotaph (Chhatri) on top of the hill was Built by The Mughal Emperor Jahangir as he also visited the temple. Panoramic view of Sambhar lake from Cenotaph (Chhatri) on Hill. 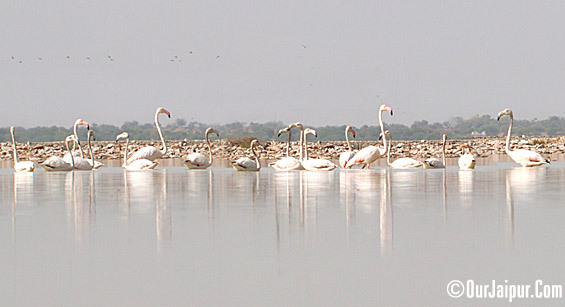 This year there were more than 20,000 Flamingos at Sambhar Lake. Walked in the lake to capture Flamingos from Close. A trail which we left Behind. 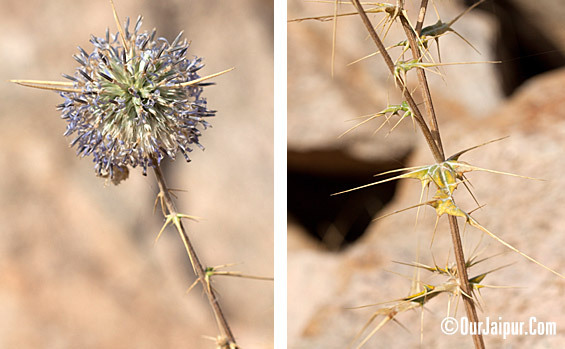 Interesting Flora and Fauna of many kinds are also there at Sambhar Lake. This pic is of Winter Time. Bull Looking at us Somewhere in Winter Time. 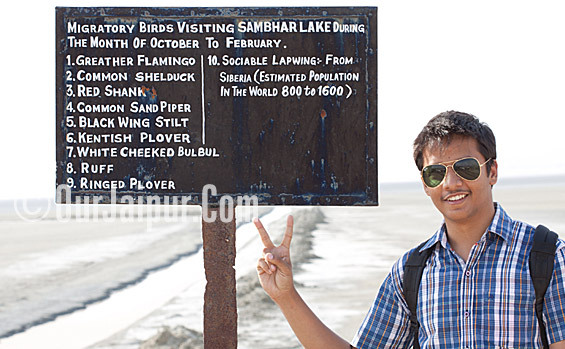 With Pulkit Soni a bord showing list of Few of the major Migratory Birds. Sometime in Monsoon Season Enjoying the Ride on Railroad Handcar. Once Went there after the rains It was all Muddy. 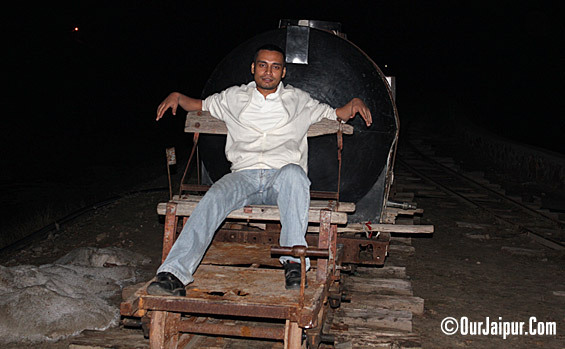 Enjoying the Ride on Railroad Handcar in Night. Nice to read this information of sambhar lake and ma shakambhari. Can you please provide information on exact location where birds, especially flamingos can be found? Is it near Shakambari temple? Or at Guadha side? Or somewhere else? 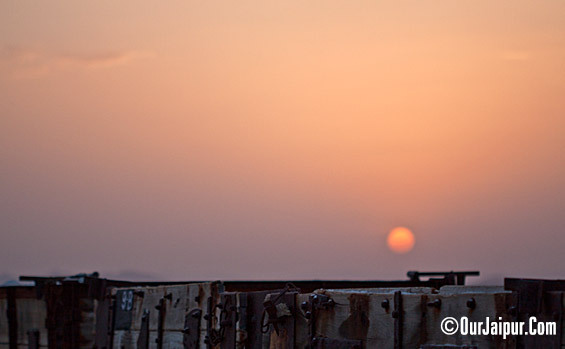 Hello, Please Share Your Thoughts with Us. . .